TRUCK drivers forced to travel up to 100km just to wash their vehicles have called for an emergency solution for local transporters after Warwick's only public truck wash was closed last month due to extreme water restrictions. The Warwick Daily News reported Warwick livestock carrier Francis Lyons said the situation was "bloody shocking" for drivers like himself, inconvenienced by the sudden close. 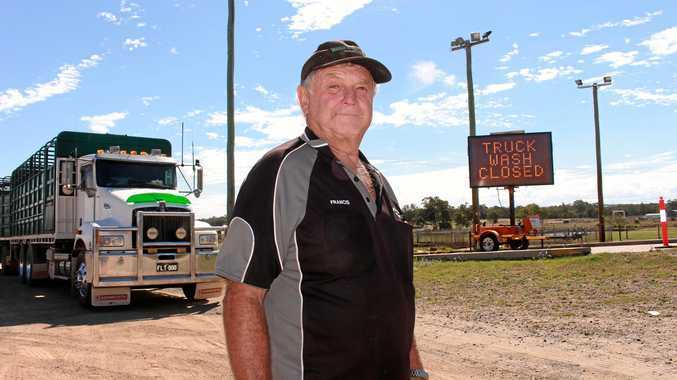 Mr Lyons said there was no warning before the decision was made to close the truck wash at the Warwick Saleyards. A SDRC spokeswoman said local trucking companies and transporters were advised of the closure of the truck wash in the days prior by either mail or phone.